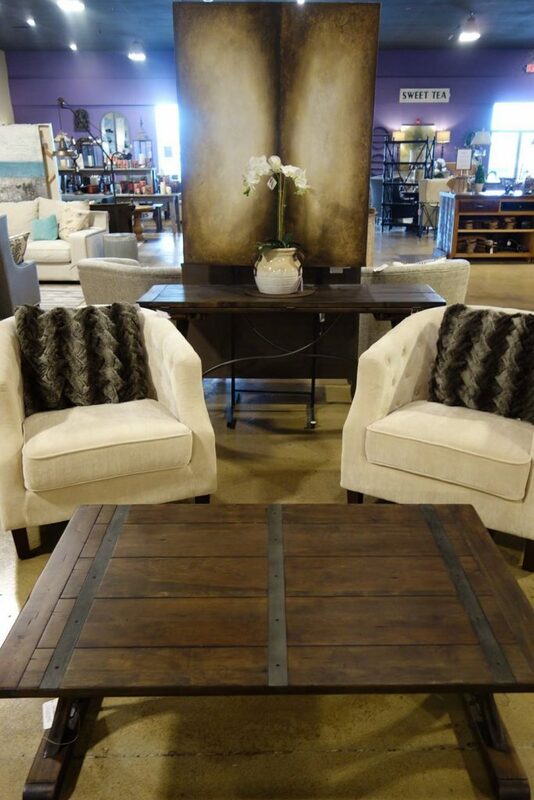 People who are in the middle of decorating and outfitting a new home are kind of our stock-in-trade here at ACRE. It’s a little like how Nashville chefs tend to be around hungry people. Especially lately, as more and more newcomers are moving to Nashville, we often get asked where to find stylish, interesting furniture and home decor in the Nashville area. We’ll stop at local West Elm and World Market locations from time to time too, but we particularly like to support and send people to independent, locally bred shops. 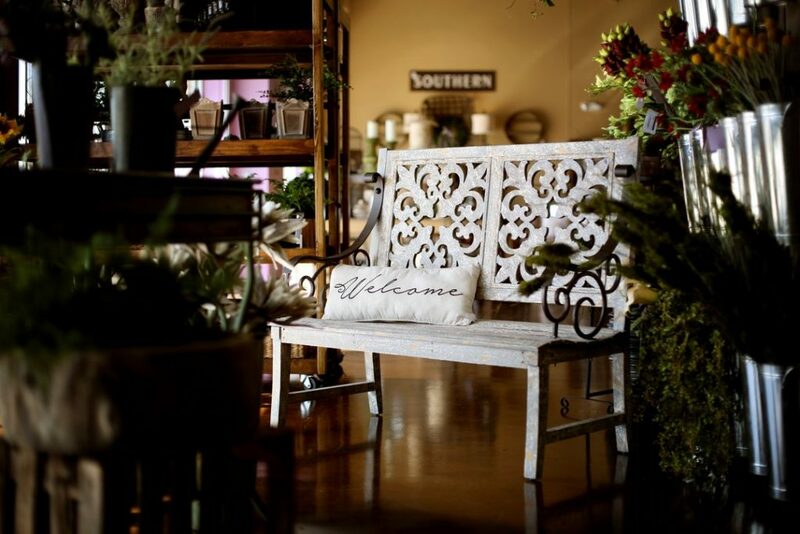 So, that said, we were happy to hear that NEST Decor — a small independent brand that’s thus far called Hendersonville and Huntsville home — is opening another Nashville-area furniture and decor shop. 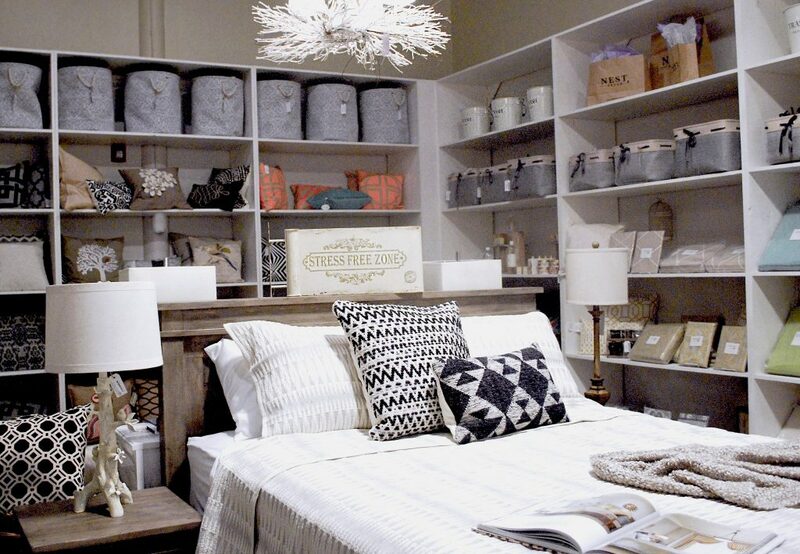 As of April 22, Williamson County residents will have an easy drive to the newest NEST Decor location, opening at 2000 Mallory Lane, Suite #250 in the Cool Springs area of Franklin. 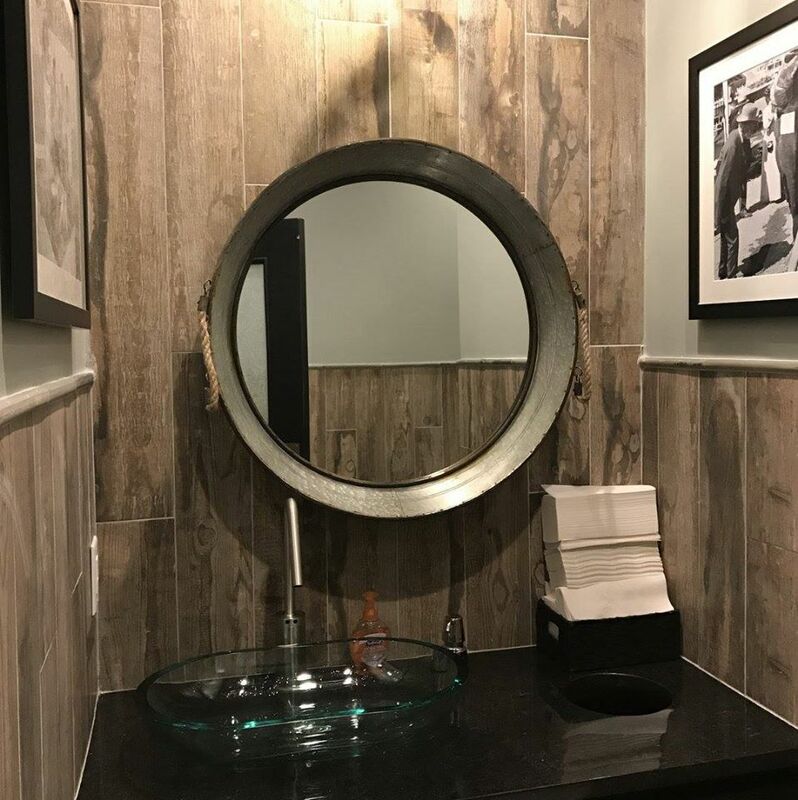 That week, there’ll be a full grand-opening celebration with giveaways and promotions, which you can take advantage of during their open hours: Monday to Saturday 10 a.m. to 7 p.m., Sunday noon to 5 p.m.
Diner Nashville got these cool bathroom mirrors from NEST, and they’re now on our mental powder-room inspiration board. 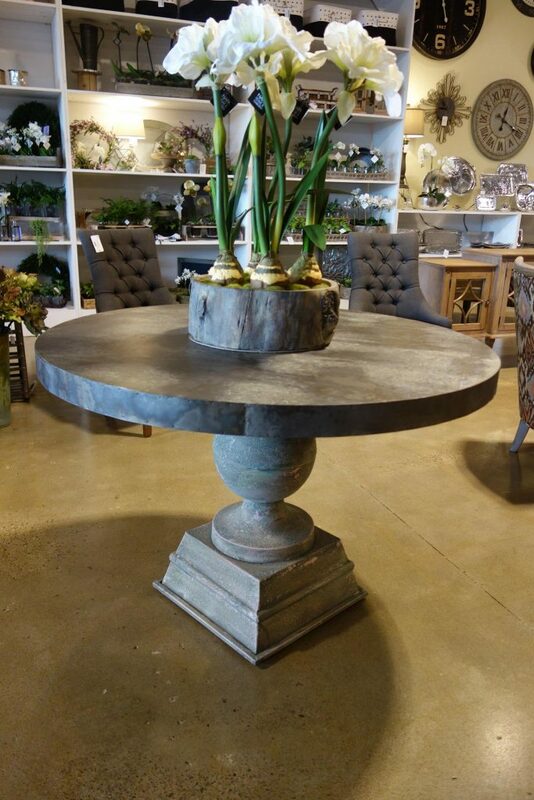 The chippy finish and metal banding on this dining table: perfect modern-farmhouse material. This wood bench: a definite warm welcome. Clean lines, soft upholstery and fuzzy faux-fur pillows – these chairs are pretty perfect for a master bedroom sitting area. Interest piqued? Drop by NEST Decor’s Facebook page for more on the home decor they carry (and updates on their Cool Springs grand opening plans). We’re looking forward to going out to Franklin and exploring the new location, and sharing congrats with the NEST folks. Are you among the new Nashvillians looking for a new home in the area to put your style stamp on? We’d be thrilled to help you find the perfect place. Call or email ACRE, or start your hunt for a new Nashville home by filling out some wish-list details here.